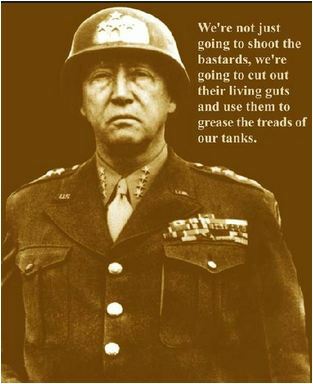 Known as ole "Blood and Guts" Patton was a strong individual. Some hated him - others may not have loved him but they respected him for both his bravery and leadership. My father served under General Patton, respected the man's leadership and said to "believe half of what is said and then throw the rest away". I'not not sure if we have any generals today with the same "Blood and guts", but I do whole -heartedly wish they would bring all our men and women home to protect out country, keep them out of all United Nations events. This web site honors all Americans who have, are and will serve in our military and we pray every day for you to be safe and come home well. Our world has always had wars, wars usually surrounding differences in religion and the convenience of the money mongers. May we some day just so NO to their manipulations and corruption at the expense of death and destruction. 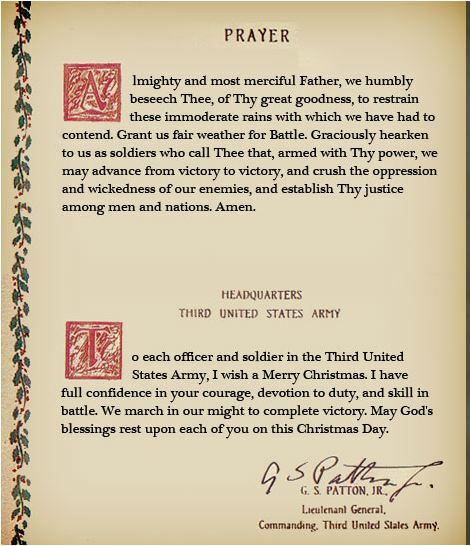 Sixty-seven years ago, on a cold December 9th in 1945 Germany, legendary American general George S. Patton was injured in a strange auto "accident" on a road outside Mannheim, near the Rhine River. The opinionated anticommunist died twelve days later. Today, the evidence that he was murdered -- the first in a line of postwar political assassinations including that of President John F. Kennedy -- is mounting. ● Patton was the only passenger hurt that cold day in what essentially was described as a "fender-bender." Two others in the car with him were uninjured, as were those in the truck that suddenly turned and caused the crash. ● The truck and its occupants were suspiciously waiting for the Patton car on the side of the road, according to a witness. It didn't start up until Patton's Cadillac was sighted. The truck's driver, a soldier and black marketeer who had stolen the army vehicle, did not signal when he suddenly wheeled the two-and-a-half-ton hauler into Patton's path. The truck's driver and his passengers mysteriously disappeared -- as did the sergeant in a jeep who was leading the Patton Cadillac. ● Numerous shadowy figures, including a general and other officers, quickly descended on the remote crash site, taking charge. It was a quiet Sunday morning. How were so many so high up alerted so fast? Where are the records of their visit -- and of the accident itself? All reports and investigations have inexplicably disappeared. Patton, who suffered a broken neck and head wounds, wasn't taken to a nearby Mannheim hospital. Instead, although in need of immediate help, he was driven 20 miles to a hospital in Heidelberg, a half hour away. Gravely injured, he was expected to die. But a tough man, he unexpectedly rallied and was preparing to go home to the U.S. when he had a sudden embolism attack and died literally with his bags packed. Years later, a Soviet officer told a Patton family member that they had poisoned him. At the time of his accident, Patton was the lone high-level Allied voice arguing to fight the Soviets, who had been American allies. He knew their treachery that would develop into the Cold War and was preparing to go back to the U.S. and campaign against them -- a move the American and Soviet governments feared. The U.S., in meetings with Soviet leader Stalin, had basically signed over Eastern Europe to the Russians in return for Stalin's help in establishing the United Nations, a dream of President Franklin D. Roosevelt, who had died in early 1945, and liberal Democrats who, under new President Harry Truman, were continuing Roosevelt's pro-Soviet policies. I had always accepted the standard story of accident until my cousin, a private investigator with an international firm, told me he knew a former World War II clandestine who said Patton had been murdered. The clandestine was Douglas Bazata, a former OSS Jedburgh, the US's first special forces unit. I checked at the National Archives and Bazata's record was sterling. He had been an OSS assassin. 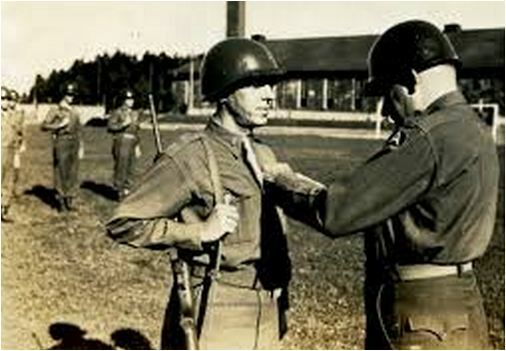 He was awarded the Bronze Star and Purple Heart for valor behind German lines. He had stayed in Europe after the war as a clandestine working for various organizations, including the CIA. 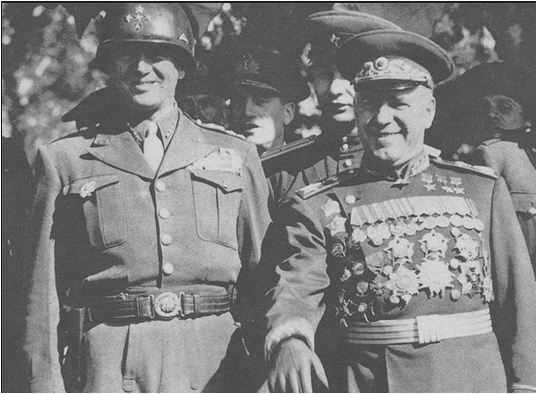 Early in the war, Donovan had flown to Moscow and solicited cooperation with the NKVD. The Russians had close proximity to Germany and had already penetrated its intelligence services. The collusion could help the OSS. Another clandestine, Stephen J. Skubik, a Counter Intelligence Corp (CIC) agent attached to Patton's armies, independently found out about the plot on the NKVD side. Right after the war ended, Skubik was sent to liaison with Ukrainian agents to spy on the Soviets. Ukraine favored the Allies and the top level Ukrainians Skubik talked with told him Patton was on the NKVD hit list to be murdered. He informed Donovan who, instead of acting on the intelligence, threw him in jail as a Soviet spy. Skubik, who later became an Eastern European advisor to US presidents from Eisenhower to Reagan, feared for his life for many years and finally wrote a private book titled The Murder of General Patton. It detailed his unsuccessful effort to save the general just prior to the "accident." Bazata went on to become an aide to Secretary of the Navy John Lehman, who served under Reagan. He and Skubik are, very credible witnesses. Now a third credible witness has emerged. Bert C. Roosen, a former German and today a naturalized Canadian businessman, says as a youth in war-torn Germany working for Eisenhower he heard the general and his aides discussing Patton's elimination. "I lived with this all my life," says Roosen of Vancouver. Eighty-three now, he was barely 17 and an interpreter for Eisenhower on the general's special train in Germany during the occupation. One day, Patton came to see Eisenhower at the train station, testifies Roosen. He watched from a train window. "I could see them arguing. They were on the platform in heated debate." Finally, Patton, obviously frustrated, abruptly left. Eisenhower entered the train car Roosen was in. "He [Eisenhower] was very mad. He said, 'That guy is going to screw things up.'" The general went into a portion of the car set up for meetings. Several high-ranking American officers were waiting for him. Roosen isn't positive who they were, but believes among them were Gen. Omar Bradley and General Bedell "Beatle" Smith, Eisenhower's aide. The area where they were sitting had a light partition for privacy. But Roosen, whose duties included cleaning the car, stayed nearby and could hear everything. "Ike said, 'We've got to stop him' [meaning Patton]. Another said, 'How? We can't shoot him.' A third said, 'Don't worry. I'll take care of it.'" Three weeks later, said Roosen, he was shocked to see Patton brought to the train in a casket. "They killed him!" he remembers shockingly thinking. In fact, Patton's body, after his death at Heidelberg was taken to Luxembourg in Eisenhower's train where he was buried in a cemetery among his fallen men. "The train was full of dignitaries for the funeral," recalls Roosen, but Eisenhower did not attend, which Roosen, at the time, thought was very strange and, in his mind, proof that the conversation he'd overheard had resulted in Patton's death. Roosen, a founder and cofounder of several prosperous Canadian companies and former president of the Vancouver Kiwanis Club, said he was "scared to death" after the train experience and "never said a word about it" for fear he would be killed. He worked in Germany with the U.S. Army until 1952 when he immigrated to Canada and began a new life. "Everyone is dead now so I no longer have that fear." Roosen's witness is among other new pieces of information and leads that have come to me in the growing mystery of Patton's death. Motives to kill Patton are numerous. He wanted to start World War III by fighting the Russians. He knew secrets about the conduct of the war that would have stifled post-war careers -- such as Eisenhower's. Several times during the war, Eisenhower had made decisions that in Patton's opinion prolonged the war and cost American lives. Patton was going to tell how the Soviets, contrary to Allied agreements, had slaughtered Allied-returned Russian prisoners and was still secretly holding American POWs. It infuriated Patton but that Allied leaders knew this yet did nothing. Gold caches and German technological and scientific secrets, both of which Patton was involved with, are also possible motives. There appear to have been at least three other attempts to kill him -- twice in vehicles and once while he was flying in a light plane. In the air attempt, Spitfires under Russian control "mistook" his Piper Cub-like aircraft for a German fighter and tried to shoot it down. The car advertised by the Patton Museum as that in which Patton was injured turns out to be a fake. In other words, the car which could give a modern-day investigator, like myself, scene-of-the-crime information can't. I don't think the museum was aware of this until I and a Cadillac specialist from Detroit examined the car and proved it was a different year model than the one Patton was injured in. The real car has vanished, probably, I believe, as part of an effort to hide clues. It's becoming increasingly clear that the truth about Patton's death has been covered up. Until what really happened is investigated by official bodies with unlimited access, the rumors about his accident and death will continue, crucial American history may be lost, and an enormous crime may go unpunished. Patton, who more than any other fighting general was responsible for victory in World War II Europe, deserves better. "There is no question of personal courage in this war," Colonel Patton's commanding officer told him on the eve of battle in 1918. "It is a business proposition where every man must be in his place and performing his part." Patton's survival that day at the end of World War I was nothing short of miraculous. 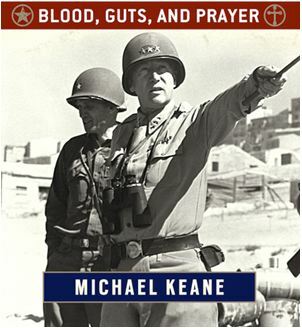 It confirmed the powerful sense of destiny that guided him through three decades of war and made him a military legend – "Old Blood and Guts," an impossible mixture of irascibility and courage, profanity and profound religious faith, tactical impulsiveness and strategic genius. Blood and guts were indeed a large part of what made Patton, Patton. Descended from an illustrious line of warriors, he was acutely conscious of the martial heritage in his blood. He met every challenge of his life with determination and guts. He demanded the same from his men, and he usually got it. 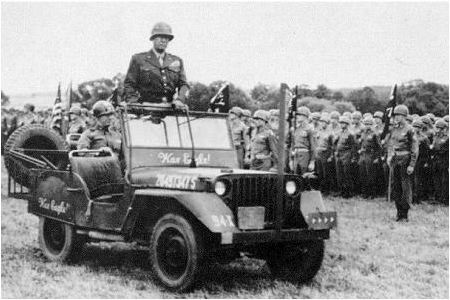 The foundation of Patton's character was his vivid awareness of the presence and providence of God. Patton's Christian faith was idiosyncratic, even unorthodox, but his habit of prayer was as simple, trusting, and constant as a monk's.